Just a few minutes’ walk away from Kuta Beach is where Ramayana Resort & Spa is, our home for two nights in Bali. 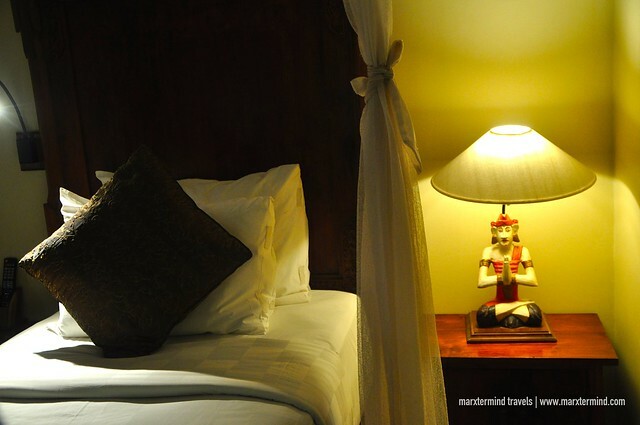 A resort styled in traditional Balinese designs and furnished with modern amenities, this was our perfect abode. 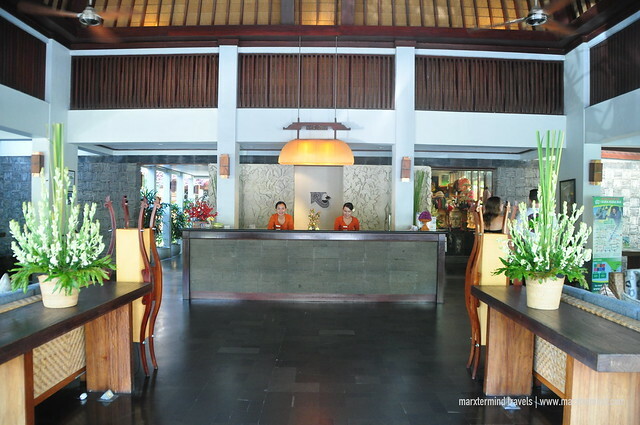 The resort is close to the beach, shopping malls, restaurants, tourist destinations and even the airport, making it rightly an ideal place for us to settle while in Bali. Ramayana Resort & Spa is a great accommodation featuring a tropical charm and modern elegance and comfort. 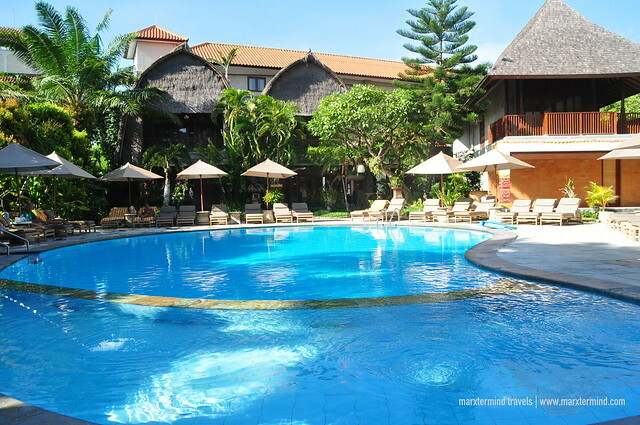 The resort is set in the heart of Kuta providing a tropical getaway that is just steps away from its popular beach. 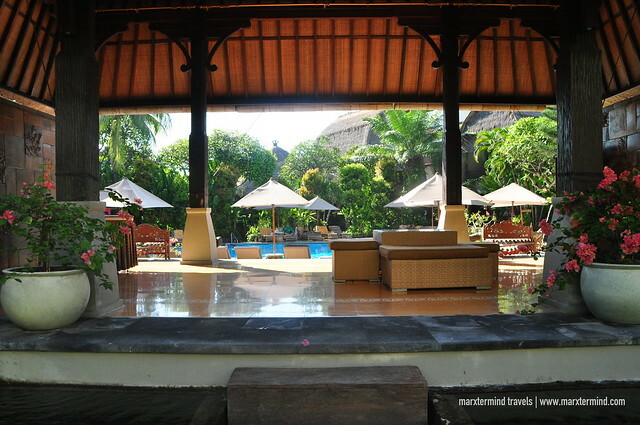 Staying at this traditional resort handed our group the ease of experiencing the best of Bali. The resort has the thoughtful Balinese authenticity that blends seamlessly with the resort’s classic style. From our room, to food and to hospitality, this resort instantly provided us a taste of what’s ahead of us while we explore the beautiful island of Bali. It was mid-afternoon when our group arrived at the resort. We had prior reservation so checking in was smooth. After presenting our passports and filling up the form with our details, the reception staff then handed our key cards to our rooms. 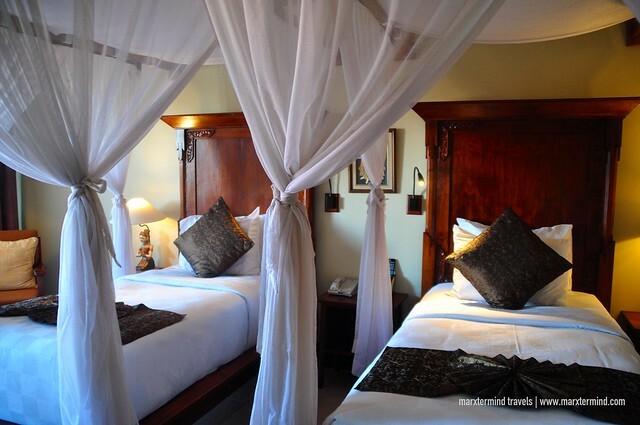 The resort offers 210 well-appointed rooms categorized into 6; namely, Superior Room, Deluxe Room, Executive Deluxe Room, Poolside Cottage, Family Room and Resort Club Room. You may check here for room rate discounts and availability. 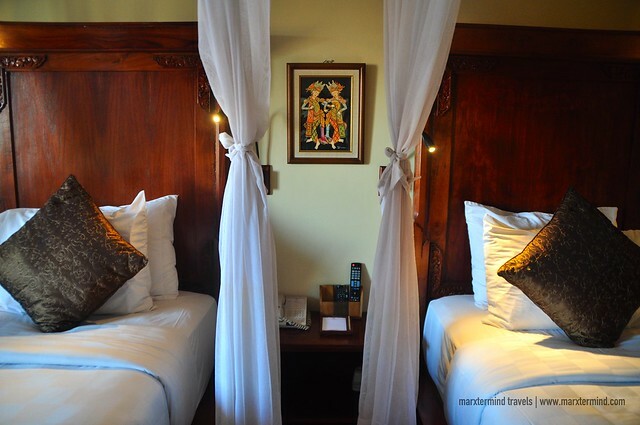 Each room features a Balinese decoration. Rooms are well equipped and fitted with modern and outstanding facilities. All rooms are air-conditioned. 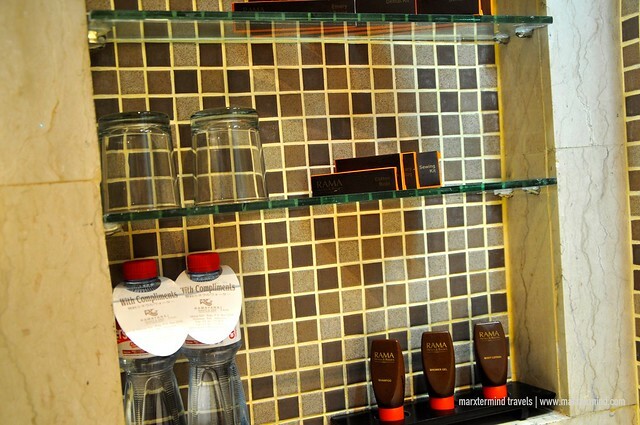 Rooms are also equipped with cable TV, telephone, tea/coffee making facilities and en-suite bathroom. Our room was an Executive Deluxe Room, which is located at the 4th floor of western building. Our room has twin beds. Beds were styled with white curtains, which I found a little unnecessary. The simple traditional design of the room was enough to make the room looks classy and elegant. The white curtains felt like it was just eating up the space, making the room looked like less spacious. But nonetheless, the overall interior was tasteful. Apart from the standard facilities mentioned, our room also has a small sofa and a working desk. It also has a balcony overlooking the pool area of the resort. Our room was nice all in all. It was clean. It was cozy. The bed was comfortable. I admire the room’s classic feel. Its vibe brings serenity and comfort. Just like how we felt delighted with our room, it was also the dining experience that I enjoyed about our stay in Ramayana Resort & Spa. 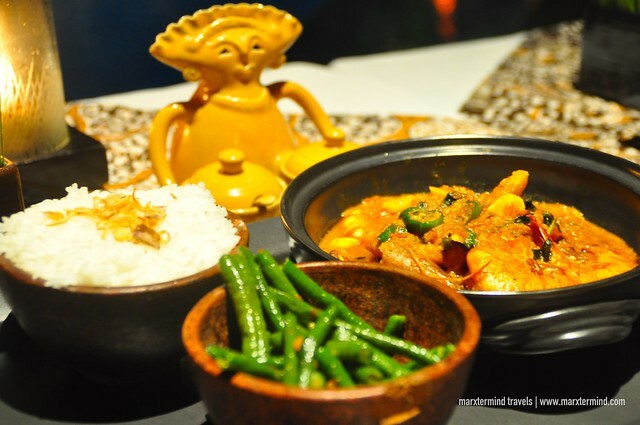 The resort’s main restaurant named Gabah Indonesian Cuisine offers authentic Indonesian cuisine and other international fare that I’ve found delicious and appetizing. In fact, Indonesian food instantly becomes my favorite. We’ve got able to experience dining in at the restaurant during dinner and breakfast and I must say, everything that I tasted was delish. 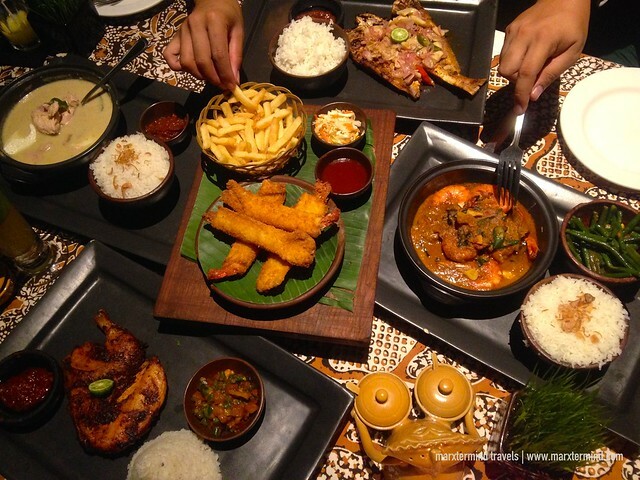 It was like a feast during dinner when we sampled different local dishes. We also ordered some comfort food. We also had some desserts and fruits that were likewise delectable. 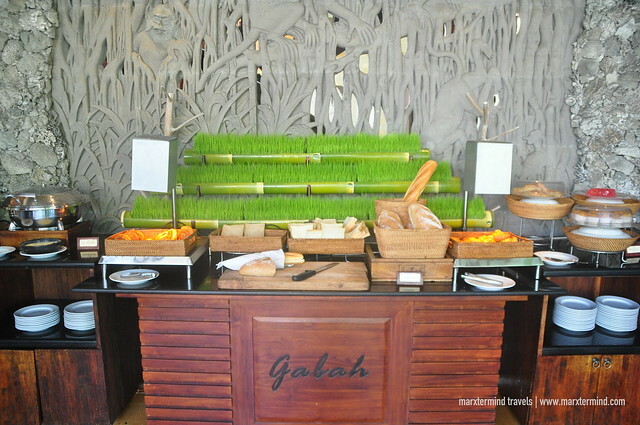 Complimentary breakfast for guests is also being served at Gabah Indonesian Cuisine. 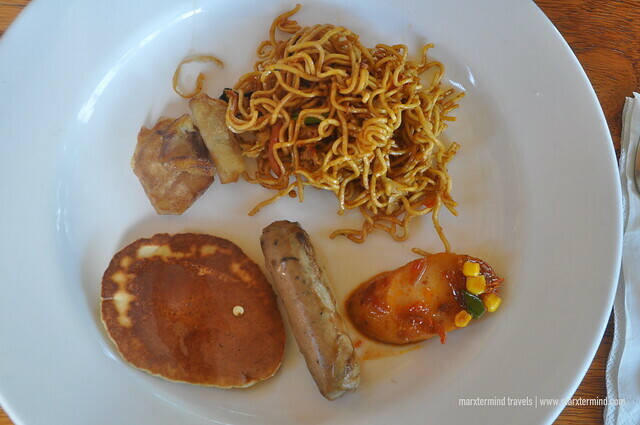 Breakfast is in buffet style. The selection was vast consisting of different breakfast favorites like bacon, sausages, breads, pastries, pancakes, potatoes, cereals, eggs and so on. Station for desserts and beverages can also be found. Local Asian fare is also available. I had some mie goring that actually tasted well. The resort also provides an array of friendly services and facilities to give guests more relaxation and convenience while in Bali. The resort features two outdoor pools, a spa, a shopping arcade, and an orchid garden. The property also offers free WiFi access throughout the resort. The resort also has a meeting room that guests can use for some occasion. 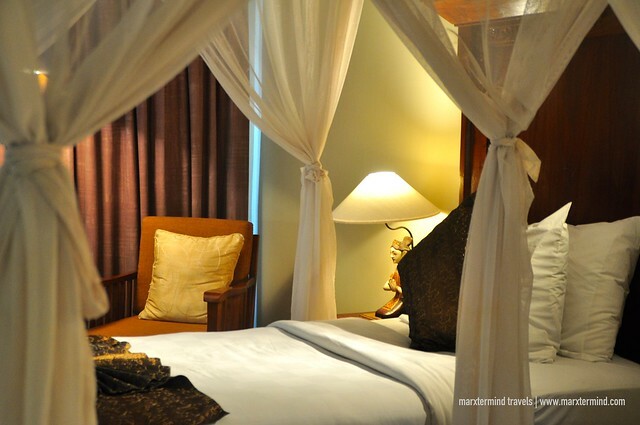 The resort also has lounges designed to offer guests a cozy atmosphere while having their relaxing time. And if you want to hangout and have some cocktail to cap off the night, the resort has a poolside bar. 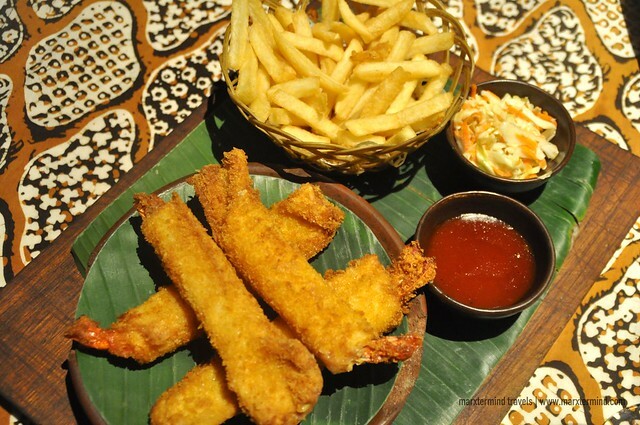 Aside from Gabah Indonesian Cuisine, the resort also has several food outlets to choose that provides different kinds of menu and dining experience. These food outlets are Stadium Café, Bluefin, Flapjaks, Seafood House and Al Dente Italian Kitchen & Bar. The resort also provides several activities that guests can join to. 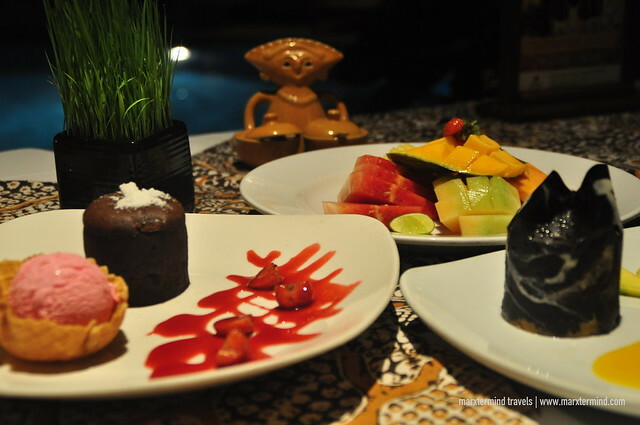 The resort offers lessons in cooking, Balinese dance, Rindix music, and fruit decoration at a short fee. It was just too sad that we weren’t able to try one. It could have been fun and a great special experience to try while in Bali. I was glad to choose Ramayana Resort & Spa as our place while in Bali because it gave us a pleasant and relaxing three-day vacation. It naturally offered us a getaway to experience the best in Bali. The resort provided us a great Balinese stay experience through its classic traditional designed room, authentic local food and genuine hospitality. 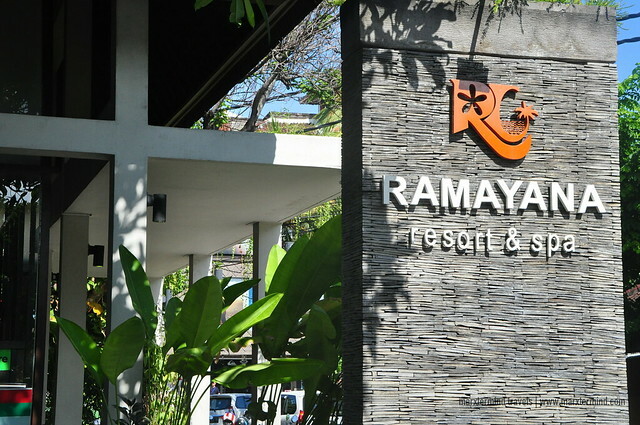 Disclosure: Ramayana Resort & Spa hosted our stay for the purpose of reviewing the resort. All notes and opinions are my own.